The End of US Military Misadventurism? Nation editor and publisher Katrina vanden Heuvel joins the The Diane Rehm Show to assess Obama's vision for America’s role in world affairs. 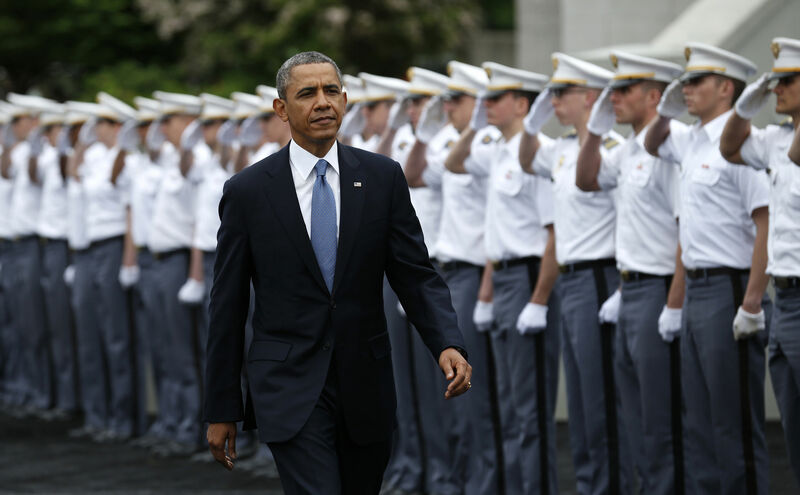 On Wednesday, President Obama delivered the commencement address to graduating cadets at the US Military Academy at West Point, using the occasion to articulate his vision for America’s role in world affairs. “This speech had different audiences,” says Nation editor and publisher Katrina vanden Heuvel. “He was trying to thread the needle between hyper-interventionists and isolationists and was speaking to a war-weary public.” Appearing here on The Diane Rehm Show with Poltico editor Micahel Hirsh and Robert Kagan of the Brookings Institution, vanden Heuvel says that while the president did give a nod to international law and the need to exercise restraint in the use of military power, the speech did “not so much signal the end of military misadventurism as direct it towards a new arena in fresh packaging,” his proposed $5 billion Counterterrorism Partnerships Fund being a case in point. To listen to the entire conversation, visit The Diane Rehm Show here.